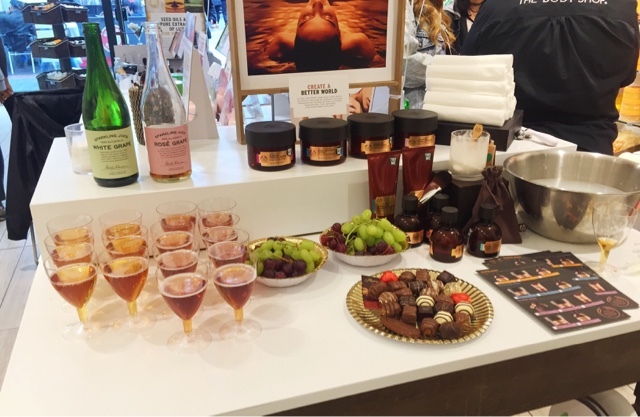 I was so excited to be kindly invited down to my local 'The Body Shop' store in Middlesbrough to attend their 'Oils of Life' launch event last week. On arrival, we were greeted by a table full of non-alcohol grape fizz (which was actually really nice! ), some bowls of grapes and a selection on Thornton's chocolates, mm! 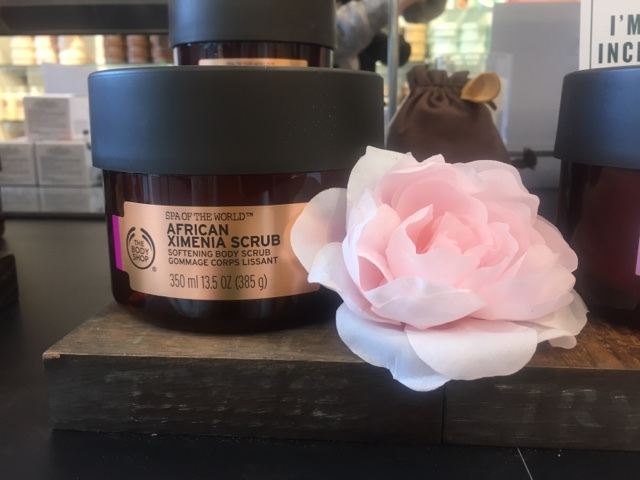 I was a little nervous at first with it being my first ever blogger's event but all the other bloggers who attended were so friendly and The Body Shop staff were so lovely, they told us a bit about the basics of the collection and then let us go off to explore the new products for ourselves. 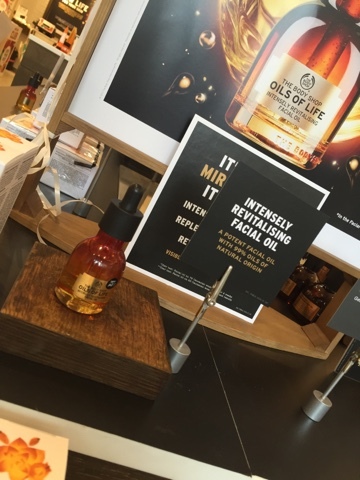 The 'Intensely Revitalising' Facial Oil was the first thing I picked up. It was explained to me that the oil sort of works like a primer, if you put it on before your make-up it gives the perfect base for a flawless finish! What I love about this product is that it will soak into your skin and carry on working throughout the day, where as a primer is thicker and stays as more of an extra layer on your skin meaning that your pores might get clogged more easily. You can also use it as a moisturiser on a night and let all the goodness soak in overnight. 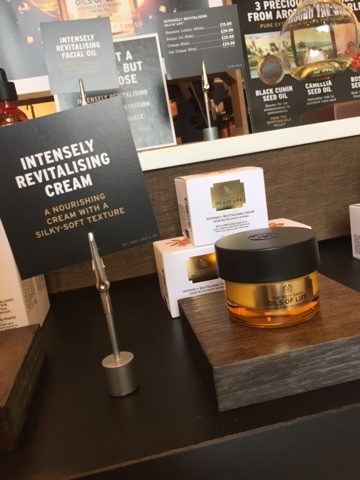 We also each got given a sample of the Oils of Life 'Intensely Revitalising' Gel Cream. After using this for myself I've found pros and cons to it. For the pros, I love the texture as it feels really light and fresh on application and a little bit goes a long way. The smell is something that I found a bit overpowering at first, however I have gotten used to it and don't mind it so much now. For the cons, I applied it before going to bed and the next day about half way through the day, I looked in the mirror at work and saw that my face looked pretty shiny! I have combination skin (but more on the dry side) so didn't have any powder with me to top up as I don't usually need to! So if you have oily skin then this product might not be for you. We also were introduced to the 'Spa of the World' range. I absolutely love the names of the new collections as they sound so pure and natural which reflects the products perfectly! 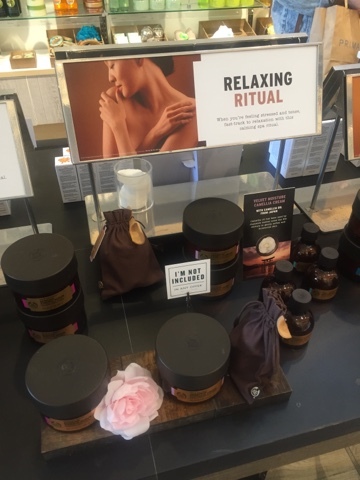 The Spa of the World collection included body scrubs, creams, massage oils and (the most intriguing) body clay! The scrubs and creams are held in a very generously sized tub, meaning you'll definitely be getting your money's worth. 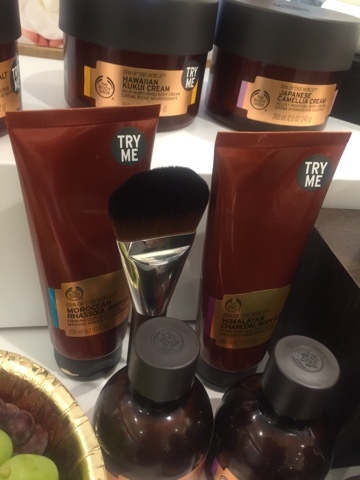 I just loved the whole range's look to be honest, it had a very polished, sleek and high-end look! Pretty different to anything The Body Shop has done before. 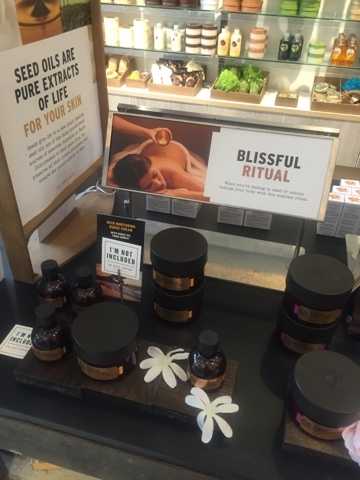 The products come under a few different categories; Blissful Ritual, Revitalising Ritual and Relaxing Ritual. This is very helpful when choosing which product is for you. 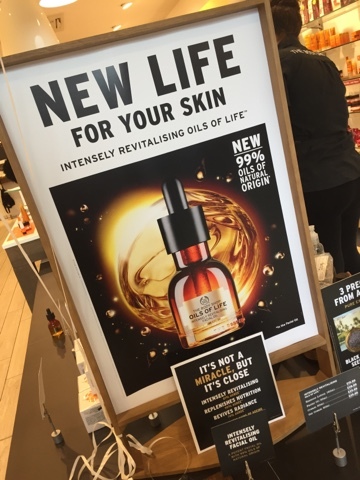 Overall I really like The Body Shop's new ranges 'Oils of Life' and 'Spa of the World'. They're a bit more pricey than their previous products but I'd definitely say you'd be getting your money's worth! I also picked up a few items for myself while I was there. The Body Shop were kind enough to give me a special code so that if I spent £25 I got £10 off, meaning that I got £25 worth of products for £15! 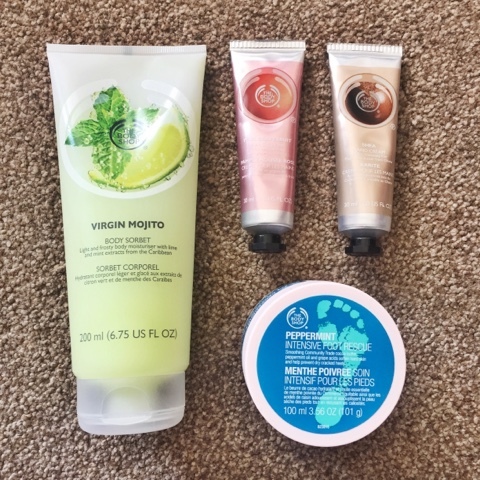 I got two hand creams in the scents pink grapefruit and shea, some peppermint scented 'foot rescue' cream and something I've been dying to get for a while, the body sorbet in virgin mojito. It smells sooooo good! 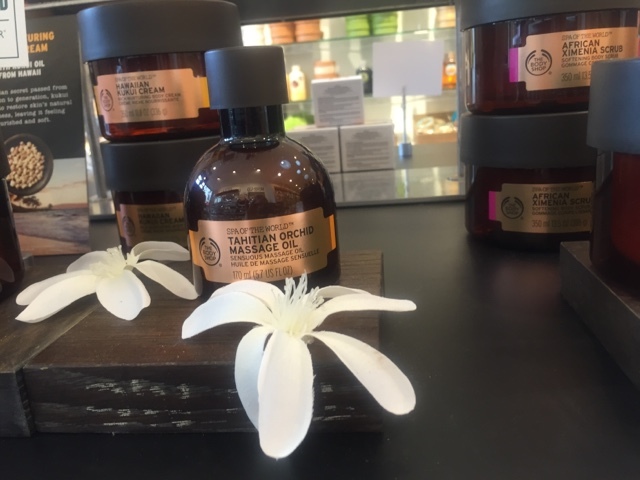 Have you tried anything from The Body Shop's new range? What did you think of it? Let me know in the comments! 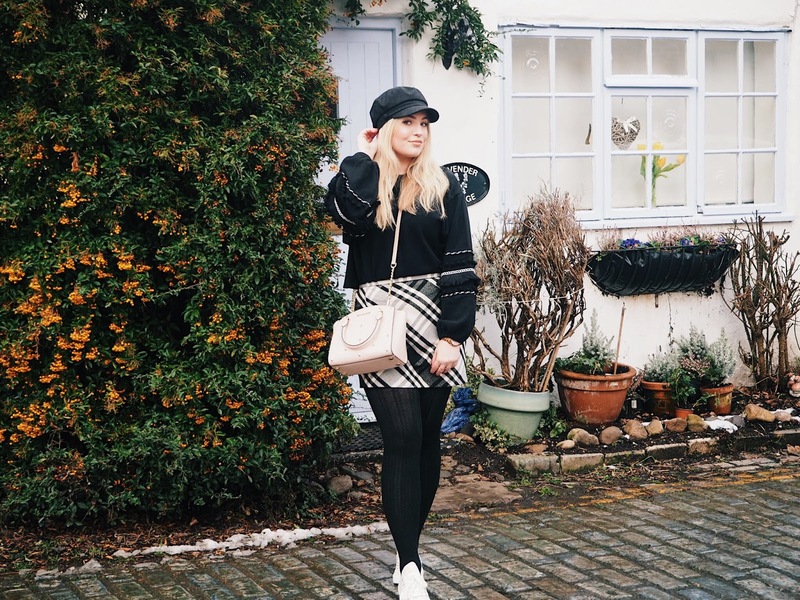 *Terms and Conditions apply and unfortunately the code cannot be used on the new range.